Administration – composes, interprets and executes policies that manage payroll, employee utilities, legality, budgeting & resource allocation, corporate social responsibilities (CRS) etc. Talent Management – foresees performance management, surveys, appraisals, promotions, employee welfare, safety, recruitment, etc. Self-centred attitude of HR leadership: A leader designated in HR department must be an empath. This trait should precede any qualifications or experience. An unselfish attitude, that subconsciously puts other people first, can’t be taught or instilled into people. A successful HR department implies that an empath is calling the shots from top. A self-serving attitude on the contrary, is a recipe for disaster. There is a simple test to find out if the person leading HR is an empath or not. Ask any employee in the company if their HR head is approachable and easy to speak with. The answer will be a resounding “Yes” or “No” with no other reply. Any elaborate answer would justify one of these extremities only. High dependency on external consultants: If a company has a habit of engaging external consultants often to fix internal mismanagement and discrepancies, whether it is for HR revamp or issues in any other sector, then it is a clear indication of inefficiency. There are cases where chief human resource officers (CHRO) don’t bother to solicit team feedback, and make decisions to engage external organizations – like recruitment process outsourcing (RPO) – following discussions with CEO/CFO. Ever wonder why certain job descriptions (JD) get so complicated? That’s because RPO’s would compose them and take control of a company’s career portal. This is why during first round of interviews, some recruiters openly admit that not everything in JD is important. More insights on shortcomings of such JDs can be found here. This is merely one example. One can imagine the extent to which consultants take over internal HR process. High attrition rates: A dedicated article has been written for this case, and can be found here. If 1 out of 4 people hired are leaving within a year, that’s a disastrous indicator. 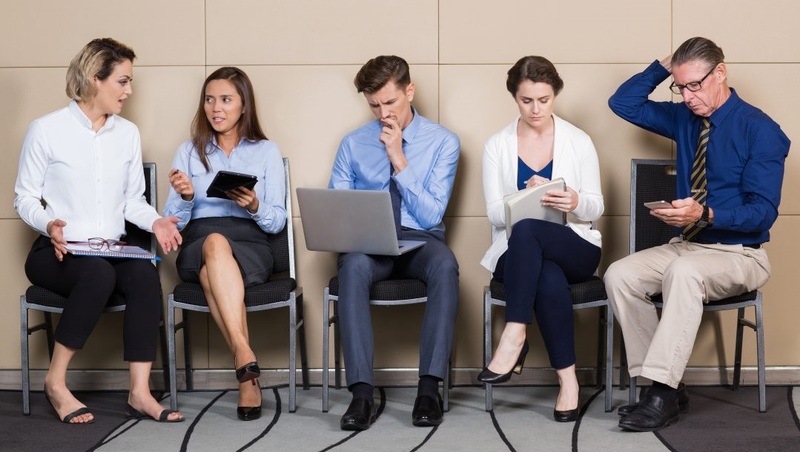 Complacencies plaguing hiring manager & recruiters: Whether it is on boarding new candidates or relieving candidates following resignation, communication gaps between hiring managers and recruiters cause agony and distress to employees. Indecisiveness and delayed communication invariably prevents top performing candidates from on boarding, while financial woes due to delayed settlements and other problems affect resigned/terminated candidates. Inefficient HR departments are not managing people. They are merely coordinating the workforce in a disorganized manner. The HR department can make or break the company. Our research indicated that company size has no correlation on HR mismanagement. As already iterated before, the HR team is either highly efficient, or it is not. When managed efficiently, company strength is insignificant, be it start-up or enterprises. While company leadership is focussed on strategy and growth, efficient HR departments prioritize people. Happy employees are more a qualitative feeling, as opposed to quantifiable assessments. This is the sad paradox of HR departments – It commands the most influence on a company’s success, while being highly underrated. Simple identification and avoidance of four cases expressed above will resolve HR inefficiencies. It begins with empathy and ends in HR leadership execution.